Good Morning! I’m back again…on my irregular schedule, you never know when I’ll show up. Eventually, I will get on a schedule, but a the moment, that doesn’t seem to be happening. I’m moving step by step toward the big event on July 23rd. I’m trying to get a few small projects completed around the house prior to going into the hospital. Some things I have to take care of because I won’t be home for at least two weeks because I’ll be staying with Gail when I get out of the hospital. Tuesday was a trying day. It was my day for several pre-surgery appointments. I started out with a physical with a medical doctor. 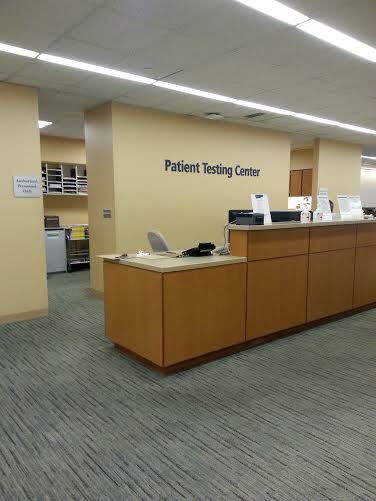 Because of our infrequent trips into Philadelphia, we left early and got to the appointment about an hour too early. However, we only waited about 15 minutes before we were into the appointment. That went well. Then I had to give blood. This is one of the things that Rothman Institute does just in case it’s needed during surgery. I think it’s probably a good idea. I am NOT a fan of needles, but it went well. I filled my bag in 7 minutes. The phlebotomist was impressed. Probably because of all the water I drink. After that was pre-admission testing where I had my blood pressure taken for the third time that day. I spoke with a nurse practitioner, then had more blood taken (for testing this time) and gave a urine sample (that’s always fun) It was all very orderly. This entire organization is so organized and efficient. I continue to be amazed. My only issue was that the three appointments were in three different buildings. They were only about a block apart but for me at this point, that’s like having to walk a couple of miles. I was truly beat at the end of the day. But…step by step, this will all be better. I am starting to feel a bit of anxiety related to all of this. I think it’s causing me to go a little off track with food. I’ve always been an anxiety eater. But fortunately after all of these years on Weight Watchers, I know ways to handle that. 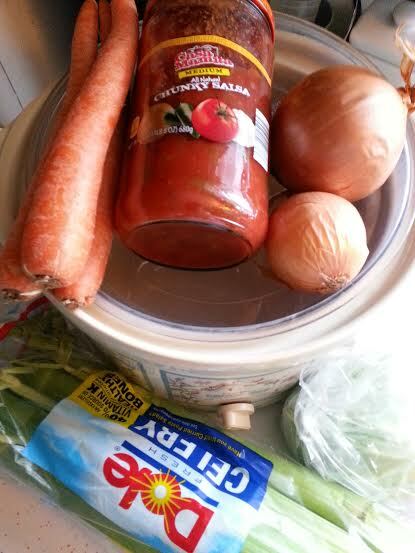 I cooked up a batch of Weight Watchers veggie soup. It’s so filling and it always serves as an avenue to get me back on track. It doesn’t take that much work-maybe 15 minutes to put it together. Then my trusty crock pot does the rest of the work. It’s so comforting to have a big bowl of that for dinner. I usually add some beans either canned or home cooked, but that gives me a big boost of protein which I’ve been told is a good thing to add in prior to surgery. I even add in some cottage cheese. Some people think that sounds disgusting, but I love the gooey cheesiness that it adds to the soup. So that’s where I stand at the moment. I’m being positive about the whole thing and I look forward to being up and around like a regular person again soon. I hope to get my blogging schedule worked out as well. Until then, I’ll see you when I see you. Hope everyone has a great weekend. This entry was posted in Uncategorized and tagged 1hip2hip, crock pot, Twice As Hip, veggies, Weight Watchers. Bookmark the permalink. Are you still meditating Fran? That might help with some of the anxiety. Just a thought. You’re right, Meghan. I should try it. Thanks!